In collegiate athletics, the sport coach’s expectations of the Sports Performance Coach superficially appear to be as follows: get the athlete stronger, quicker, and jumping higher. This seems simple enough to the untrained eye; squat heavy, jump, and complete agility and reaction training. This addresses the overt goals, but it is critical for the athlete to be on the court playing in order for any of that training to actually make a difference. If the Sports Performance Coach overlooks the stabilizer muscles that allow the athlete to handle the heavy loads required to increase strength and power, it is likely they will battle an injury (either acute or chronic) at some point during their collegiate career. One intervention method is to program ”prehab” exercises into the athlete’s weekly training plan. Prehab is a catch-all term thrown around the athletic world essentially to describe exercises used in rehabilitation, modified for use in a preventive manner. The purpose of this article is to elaborate on the goals of prehab exercises, present examples, and describe appropriate implementation including timing, sets, and repetitions. 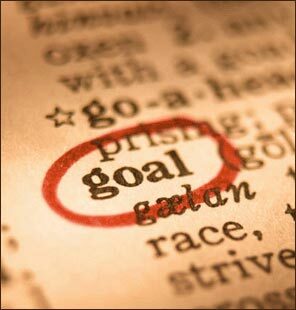 As always, it is important to remember there is no one right way to accomplish a goal, but this is one effective method. The goals of prehab exercises are to strengthen and to activate the smaller stabilizer muscles that are crucial to maintaining joint integrity while the prime movers execute powerful movements. These muscles include those of the rotator cuff, stabilizers of the scapula (serratus anterior, rhomboids, lower traps), internal and external obliques, and muscles of the hip (especially gluteus medius). These muscles are particularly integral to volleyball athletes who spend the majority of their time jumping and/or moving laterally (the hips must stabilize properly to keep the knees and back healthy), powerfully flexing and extending from the shoulder (stabilizers of the shoulder and scapula must be strong and resistant to fatigue), and rotating and transmitting forces through their mid-section (obliques must be able to both contract forcefully as well as resist rotation, depending on the movement executed). Shoulder and scapula- external rotation as well as horizontal abduction. The large, strong muscles of the upper body (pecs, lats) pull the shoulder into internal rotation, creating imbalances and uneven pulls at the shoulder joint if not properly countered. It is important to strengthen the external rotators to pull the shoulder back into a healthy and mechanically advantageous position. Hips- hip extension, abduction, and external rotation movements help to strengthen the stabilizer muscles of the hip. Hip mobility, including internal/external rotation, flexion/extension, and abduction/adduction are important to improve while increasing the strength and stability of the hip musculature. Mid-section- actively rotate and laterally flex the core as well as resist potential rotational and flexion forces. The obliques are the often neglected, yet vitally important, abdominal muscles. The ability to keep the core stable while moving the limbs allows an athlete to transfer power from the ground to their arms, a crucial skill for volleyball athletes. As far as when to program these exercises into a workout, there are many different possibilities. I like to prioritize prehab first in a workout for multiple reasons: 1. I believe it is important enough to warrant the number one spot. 2. To activate crucial stabilizers and get the athlete feeling these muscles so they can engage them under load throughout the workout. 3. The athlete is fresh and can focus on these movements in which body position is essential for proper execution. 4. I use them as a warm up to be as time efficient as possible. It is also appropriate and time efficient to complete a prehab movement during the rest period of another exercise (i.e. rotator cuff exercises in between squat sets). I have found that if prehab is saved for the end of the workout, the attention to detail and compliance can be low, as the athletes are rushing to complete the session. Stabilizer muscles are required to be active for extended periods of time while the prime movers execute other movements. Therefore, it follows that these muscles should be trained to extend their endurance capacity and they will respond to higher repetition schemes. I generally begin with 10 repetitions and work up to 20 repetitions per set for 2-4 sets. My volleyball athletes complete prehab exercises for their shoulder, hip, and obliques every time they set foot in the weight room. As with every training goal, there are endless paths one can take to achieve the desired results. To keep athletes participating on the court and in the weight room, they must be healthy enough to train hard day in and day out. The health of volleyball athletes is often dependent on the structural integrity of their hips and knees, as these joints take a beating in this sport. Completing a balanced program that includes prehab exercises for the shoulder, hip, and mid-section is one effective intervention utilized in many programs across the country. The small stabilizer muscles are equivalent to the support staff to your program; their importance should never be overlooked.